Flanders is the true birthplace of genever (jenever) and its distillation methods. More specifically, the province of East Flanders has a rich genever tradition going back to the production of korenbrandewijn (grain brandy) in the 16th century. Nowadays, East Flanders boasts the largest number of active genever distilleries. Therefore, genever is the most important regional distilled drink. For more than a century now, Braeckman’s family-owned distillery honours the age-old Flemish tradition. With the construction of the new grain distillery in 1996, Braeckman practices artisanal and traditional distilling methods in a modern environment. This guarantees the highest quality of each step in the production process: from the selection of noble grains to the bottling of the final product. At Braeckman Distillery, the full distillation process happens in-house. As one of the last remaining ‘wholesome distilleries’, we stay loyal to the old saying ‘from grain to glass’. We still invest time and effort in milling, fermenting, and distilling rye and malt in-house, and in accordance with the age-old tradition. The distillation process forces us to roll up our sleeves and engage in the intensive manual labour needed. As a result, mass production is impossible, which makes our products genuinely ‘small batch’. Braeckman genever is produced in the Flemish Ardennes exclusively from carefully selected local grains, such as rye and malted barley. These grains are milled in the distillery and processed into genever along with juniper berries and other herbs. 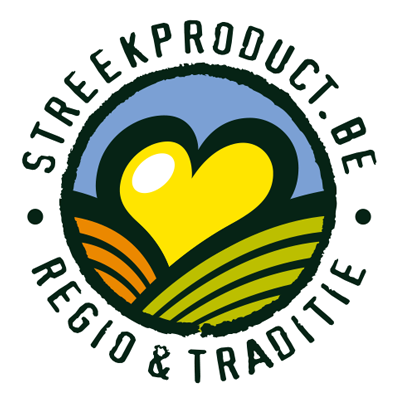 Our grain genevers were awarded the label ‘streekproduct Vlaamse Ardennen’ (regional product Flemish Ardennes) in recognition of their origin, tradition and quality. Our master-distiller Filip Braeckman represents the third generation of genever distillers in the Braeckman family. He combines rare skills, a striving for perfection, and specialized knowledge drawn from more than 500 years of regional genever production, with his scientific degree. The hand – and the nose – of our master-distiller is present in every one of our genevers and guarantees the highest quality. Flavour and aroma are the most important elements. A perfect genever has the fully developed and rounded flavour of grain, but is fresh at the same time, and features plenty of juniper. We are constantly challenged to find the perfect balance among grains, herbs, and juniper berries. For the enthusiasts, we age part of our grain distillates in American oak barrels, formerly used for bourbon production. This adds a more mature character to our genevers, full of hints of vanilla and wood. Whether you enjoy our genevers neat or in cocktails, the best way to drink them is how you like them the most.